United Kingdom’s exit from the EU is scheduled for the end of March. The country’s new agreement with Chile "goes beyond the terms of the Association Agreement between Chile and the European Union." Chile and the United Kingdom have signed a continuity agreement covering bilateral trade ahead of Brexit. The agreement, signed in the Chilean capital on Wednesday, will safeguard the countries’ commercial relationship once the UK leaves the European Union, the Foreign Ministry in Santiago reported. United Kingdom’s exit from the EU is scheduled for the end of March, though doubts have now been cast over that date. Downing Street's new agreement with Chile "goes beyond the terms of the Association Agreement between Chile and the European Union. It extends a bilateral agreement with the United Kingdom specifically,” Chile’s Ministry of Foreign Affairs reported. “This trade continuity agreement will see British businesses and consumers benefitting from preferential trading arrangements with Chile after we leave the European Union,” the UK government’s website reads. In signing the document, the countries agreed to maintain tariffs and ensured continued imports and exports. In 2018, commercial trade between both nations reported US$1.36 billion, 19 percent higher than in 2017. "As a Foreign Ministry we anticipated and achieved a quite positive solution before a scenario that could have turned into a complex situation," Chile’s Foreign Minister Roberto Ampuero said. A spokesperson for the Wine and Spirit Association said that the WSTA welcomes the signing of the UK Government’s continuity trade agreement with Chile. “It is imperative for the UK wine industry that trade with Chile remains undisrupted… [Chilean wine accounts for] nine percent of the total UK still wine sales by volume and eight percent by value”. “The agreement avoids unnecessary tariffs which will ultimately save consumers money. Without this agreement tariffs added to wine from Chile coming to the UK would cost industry an estimated £9.2 million,” the spokesperson said. 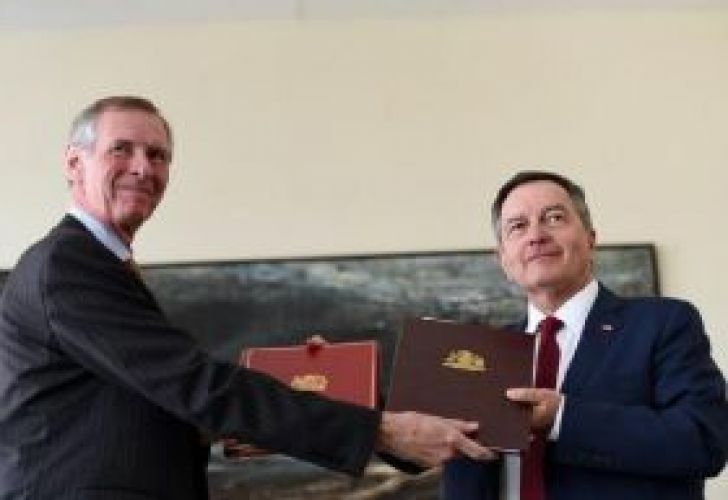 This new bilateral agreement joins an extensive network of associations and free trade agreements between other nations and Chile, one of the most open economies in the world.